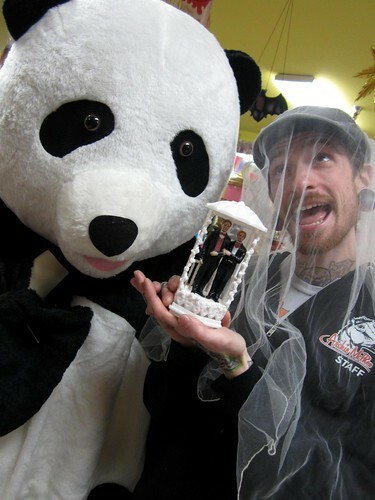 Click the arrow at the front door to enter! 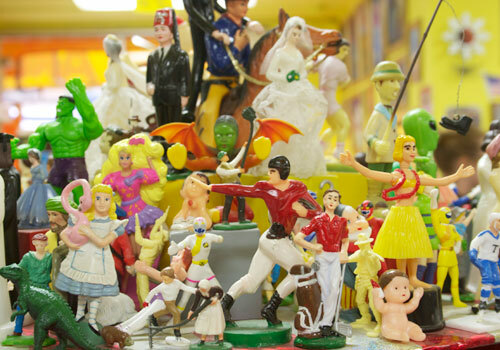 Click and drag with your mouse or click the arrows to explore! 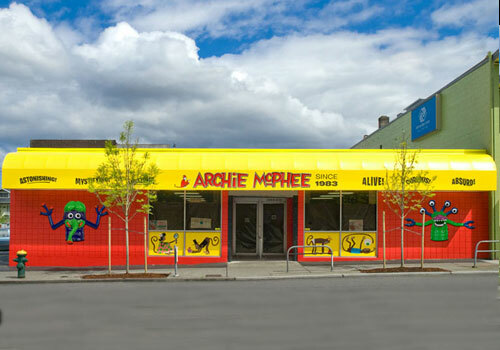 The front door... Come on in! 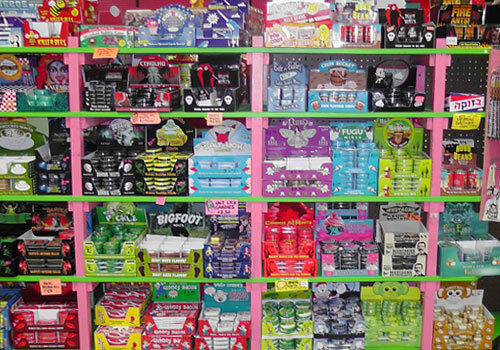 You'll be overwhelmed by what's inside! 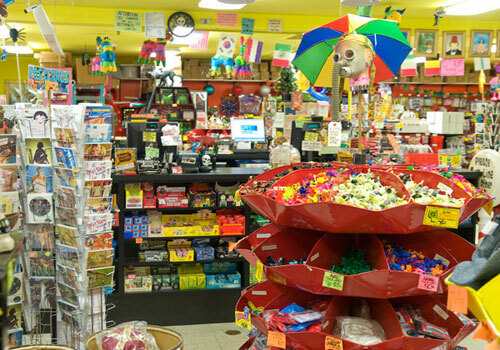 Our world famous bizarre candy selection! 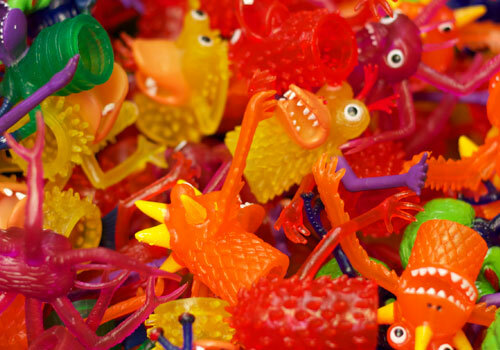 Finger Monkeys, Monsters and Zombies! 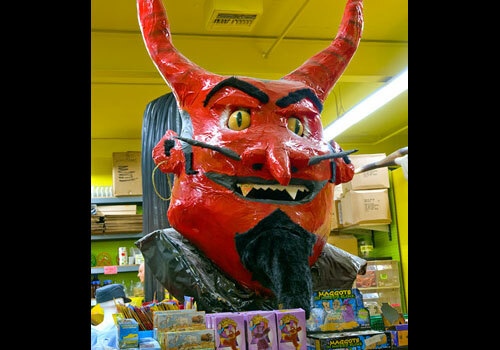 Gaze upon the Giant Devil Head! 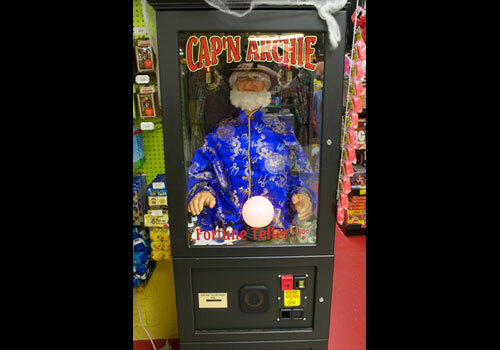 Have your fortune told by Cap'n Archie! 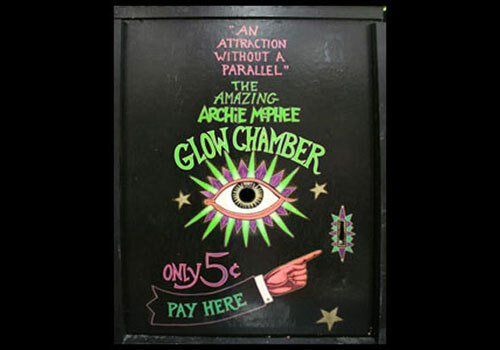 Look inside the Amazing Glow Chamber! 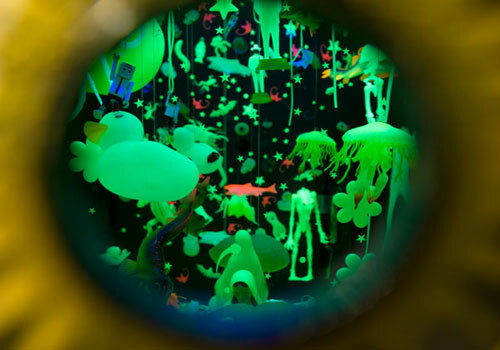 A sneak peek inside the Glow Chamber! 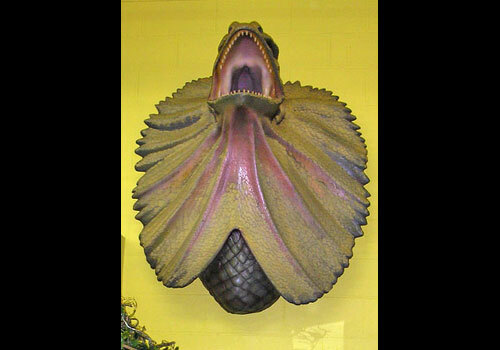 Beware the Giant Lizard Head! 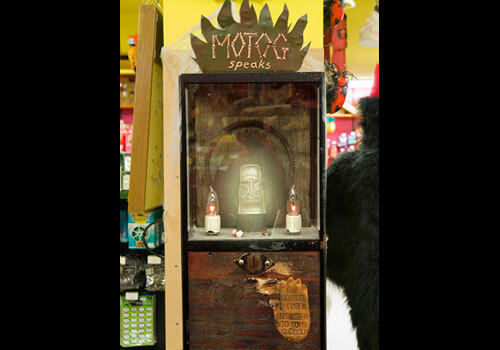 Hear Motog as he speaks your fortune! 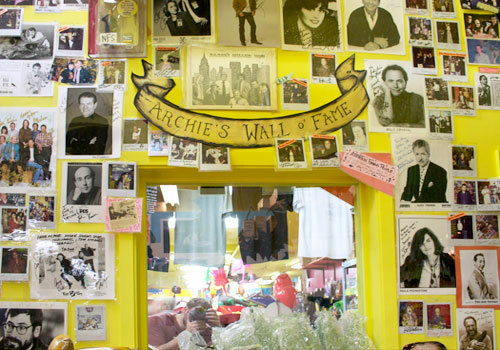 Archie's Wall of Fame! 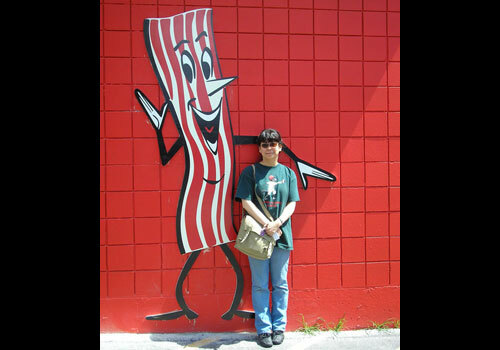 Celebrities who love us! 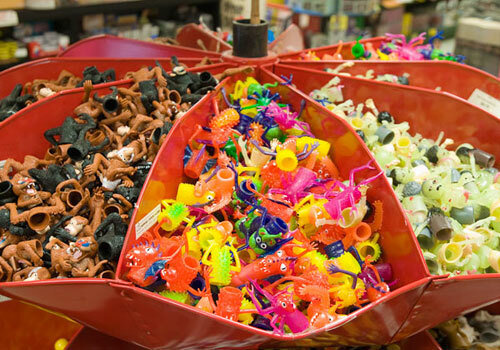 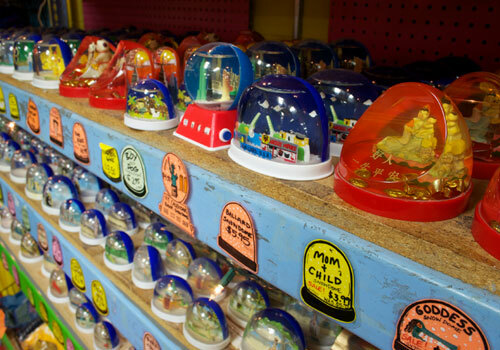 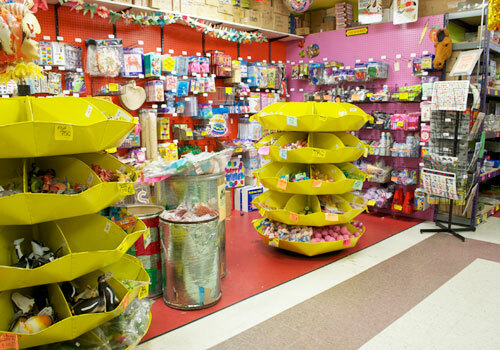 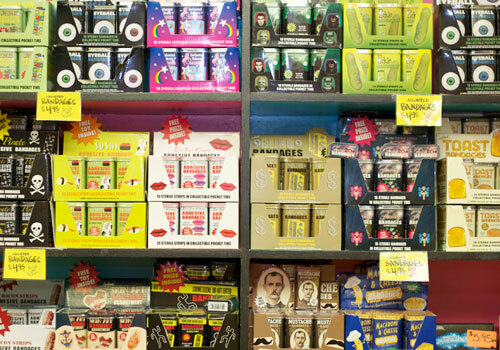 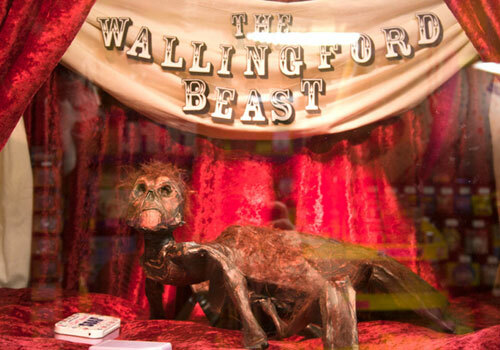 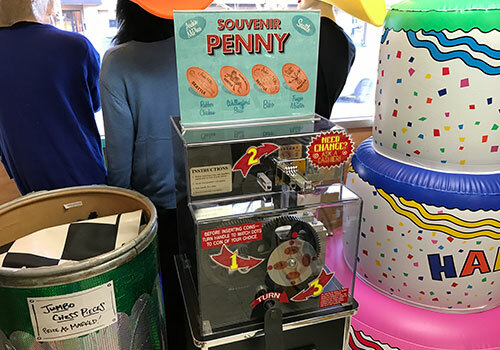 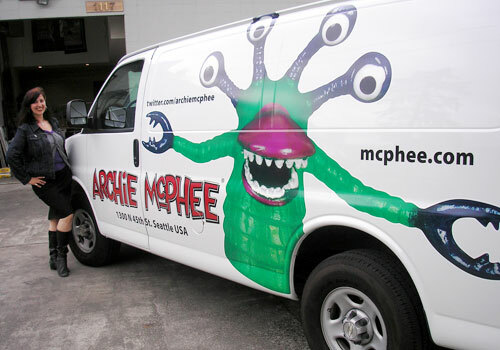 Each month, the Archie McPhee staff picks their favorite products to share with you! 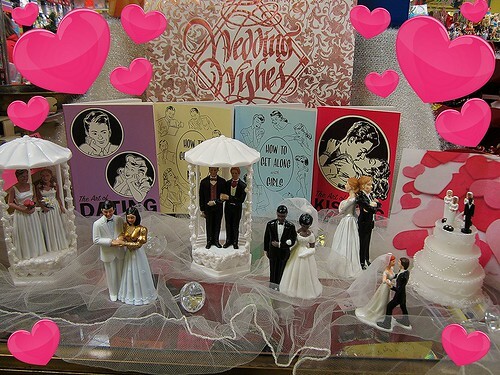 Click here to see this month’s Staff Picks on our blog. 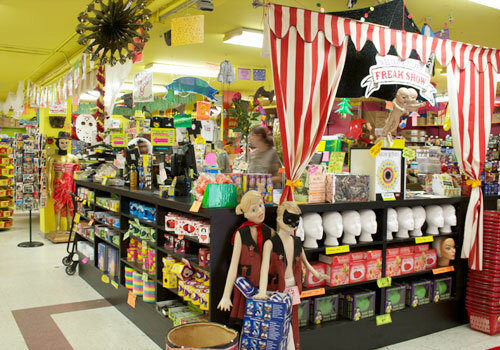 Come in to the store on your birthday, present your I.D. 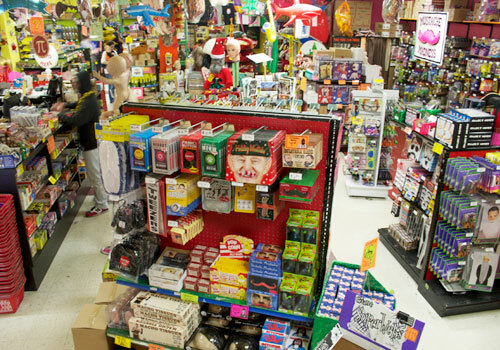 and we’ll give you a super special present! 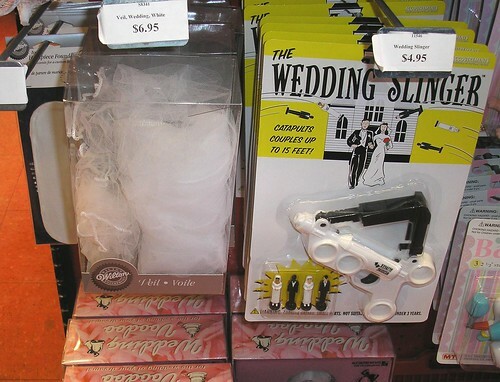 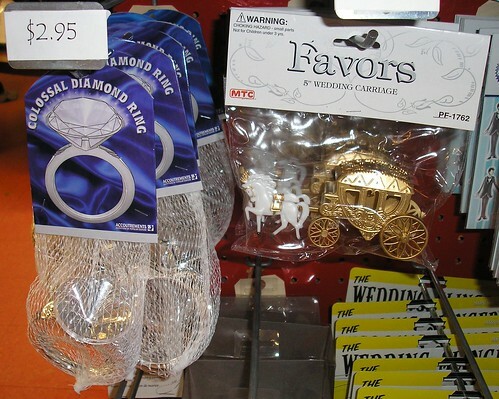 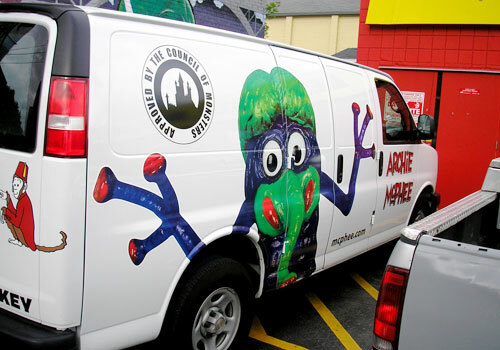 Who wouldn’t want cool stuff from Archie McPhee as wedding gifts? 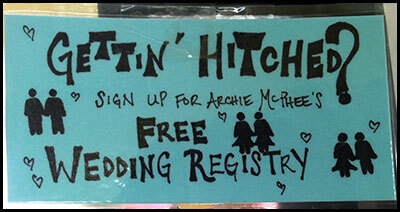 Come on in and sign up for our FREE Wedding Registry! 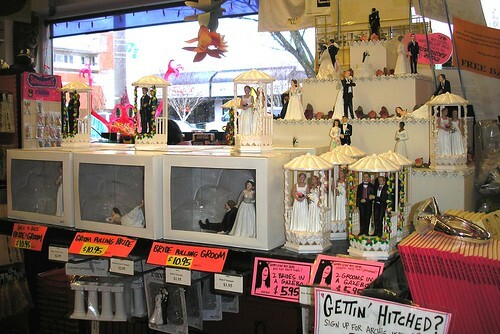 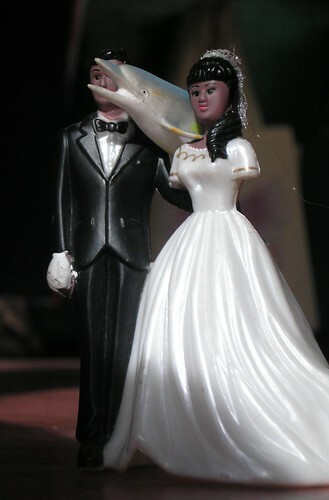 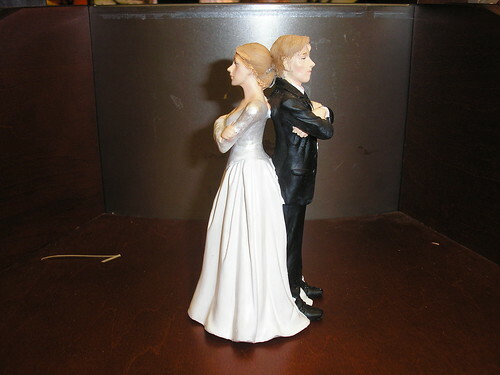 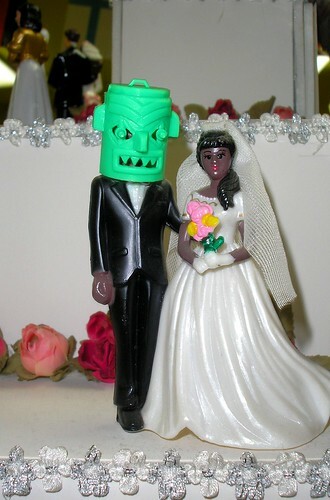 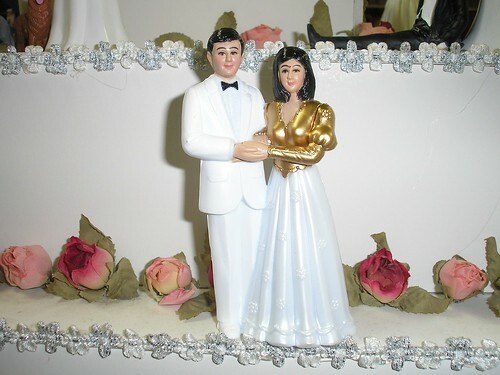 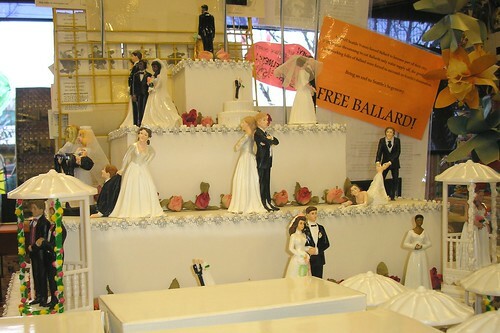 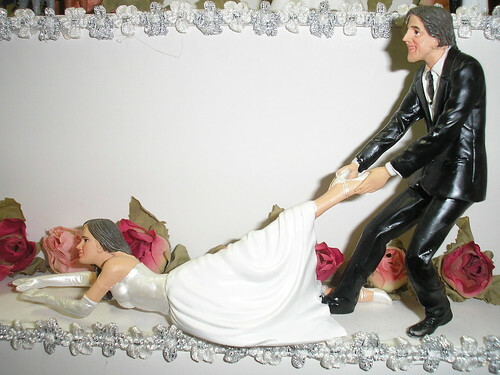 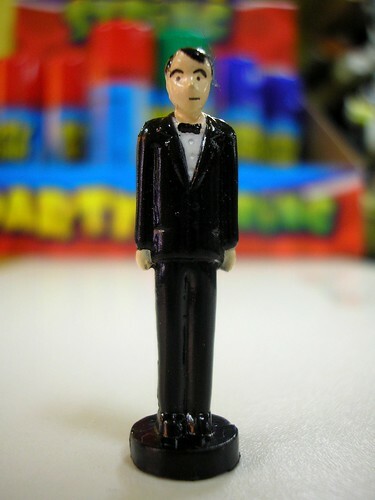 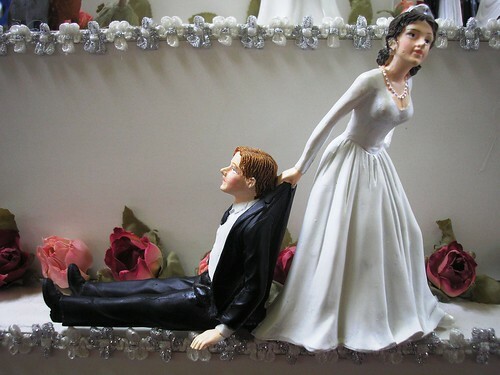 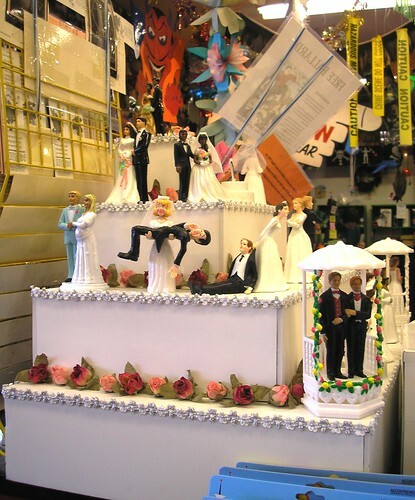 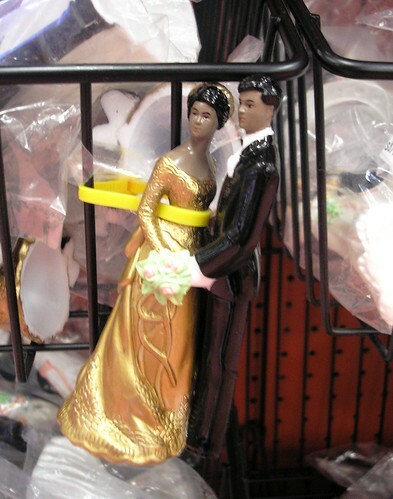 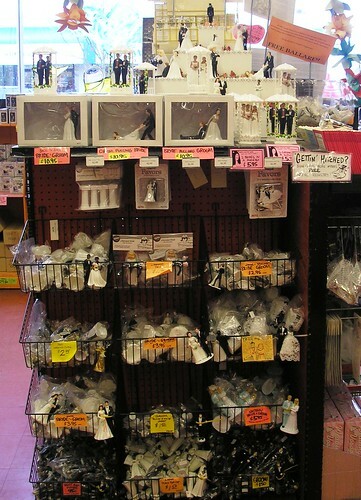 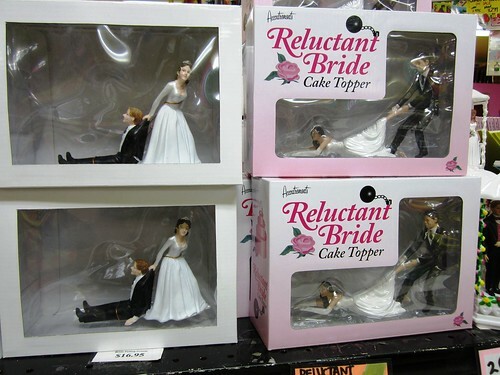 While you’re here, check out our extensive collection of alternative and hilarious wedding cake toppers! 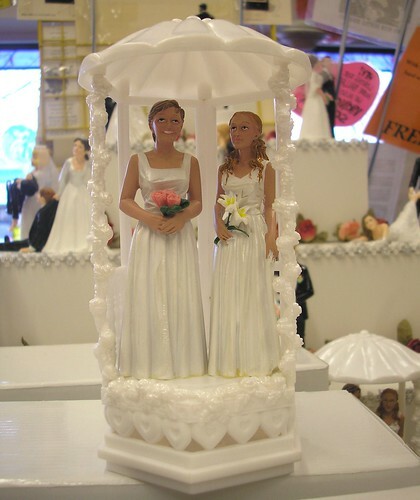 Jeff Picks: Two Grooms in a Gazeebo! 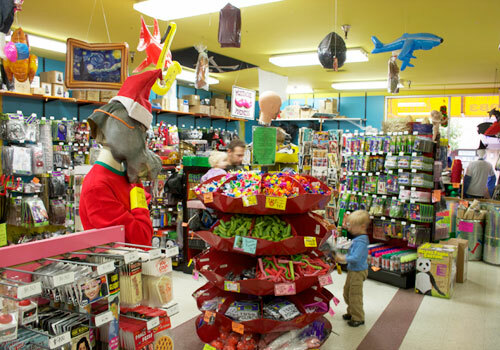 It's that magical time of year. 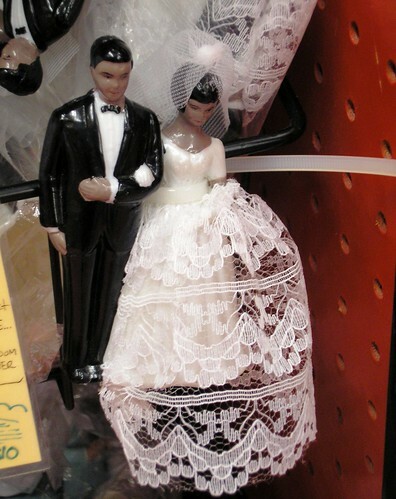 The Reluctant Bride is back! 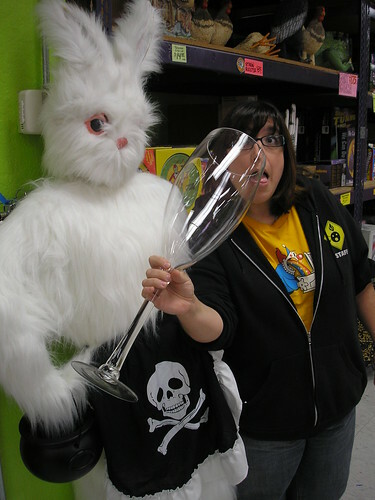 The World's Biggest Champagne Glass!